During times of loss and grief when a precious one dies, the Congregational Church of Hollis is prepared to walk with you through that often-difficult bit of life’s journey, offering our support, guidance, and Christ’s love. 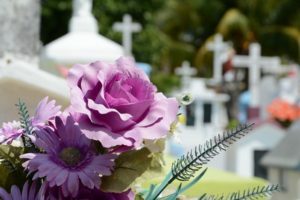 Funeral services (where the body is present) and memorial services (where the body is not present) provide an opportunity to express gratitude for the life of the one who has died; to offer your loved one to God’s eternal care and keeping; and to proclaim again God’s promise that death will not have the last word. Typically, these services include words of remembrance, pastoral words and prayers, scripture readings, and hymns. Rev. Tanya will work closely with you to plan a funeral or memorial service that helps you to honor your loved one, and express something of the impact their life had on the world. Please contact the church office and/or Rev. Tanya if you’d like to discuss a funeral or memorial service for your loved one, and complete the Funeral/Memorial Service Information Form in preparation for your meeting.